$29.99$29.99each Out of Stock Item #137656 Semi-Dwarf EZ Start® Pot Ships 1' 6" - 3' tall with advanced root system in a 4x4x10" EZ Start® pot. An excellent pollinator for other apples. This annual bearer produces 2" pale yellow crabapples with streaky red blushes and some russeting. Creamy white flesh is fine-grained and crisp, with a sweet, nut-like flavor that is great for fresh eating, cooking or making jellies. Tree is vigorous and hardy and adapts well to different soil types. Developed at the University of Minnesota in 1946. Cold-hardy. Ripens in early September. Best pollinators: Cameron Select™ Honeycrisp, Cortland, SnappyMac® or Liberty. It is a good pollinator for the 2 apple trees I am planting. I chose this as a pollinator for other apple trees and because the fruit of this crab apple tree is also tasty. Great flavor for a crab apple. crabapples are a good general pollinator, and this variety is also good in ciders. All I read everywhere is how amazing this tastes. I ordered three trees! I wanted a self pollinating tree with apples that were large enough to use. We love crabapple jelly and applesauce. I wanted to plant some crabapple trees for the spring colors and fruit for canning. It is hard to find crabapples in the woods in this area. I would like to try something other than one of the apple varieties. I would like to see if it is more easily cared for than apples. I tried it an loved them. Good pollinator, and the apples sound tasty according to the website description. I have been looking for a fruit bearing crabapple tree for a long time. I grew up in my NC area making jelly from my grandma's tree which has been gone for years. The fruit on it was 2" in diameter and very tart and made beautiful reddish in color jelly that was absolutely delicious where as this tree is bearing larger fruit and semi-sweet which I'm not familiar with. I'm excited to try it and my honeybees will love the blossoms! I want something for the deer. The deer in our area really love these apples and it's a self pollinator. A large variety crabapple that will pollinate my other apples as well as produce quickly for wildlife. I'm planting some species of crabapples in between my apple trees for better pollination as well as providing other things to make better pectin and various canning/pickling items. They are hardy and blossom beautifully. Like the taste..great for our area...will use in apple cider as well. I need a pollinator for some apple trees. Because of the size of the fruit and it's taste of tartness and chestnut flavor. This is said to be great for pollinating apple trees. Great pollinator for other apple trees. What can these crab apples be used for? BEST ANSWER: I have apple trees that tend to blossom very close to the same time but I need a carry over of cross pollinating to maximize our crop production. I am counting on my crab as it is to blossom early and carry those blossoms a bit longer to help cover all of my other apple blossom periods. I remember these from a trip to Minnesota in the 1980s. They are small but excellent for eating fresh. The whole family liked them. They are not sour like other crab apples. This tree is a pollinator for other apple trees. Also you can make spiced crabapples with these. They are great. Excellent to munch on right off the tree! Crab apple jelly and spiced crab apples. is this tree desease resistant ? BEST ANSWER: Thank you for your question. It is pest- and scab-resistant and is wonderful for fresh eating, unlike most other crabapples. From what I can tell, it is listed as "good" for a rating as disease resistant. I got one because it is said every orchard should have one of them. I have had a bit of trouble on the sturdiness, so had to stake the tree due to winds. yes, it seem to be very resistant to all the apple tree diseases here in Indiana. Is the tree disease resistant to apple cedar rust and mildew? BEST ANSWER: Yes, it is resistant to scab, fire blight, rust and mildew. An excellent cultivar with apples big enough to eat off the tree. What kind of peat to use for mulch? BEST ANSWER: Peat is really meant to be used as a soil amendment. Straw or wood chips allow more air and water through, and are better choirces for your crabapple. Can I plant a chestnut crabapple tree in central MN in early September? BEST ANSWER: Thank you for your question. 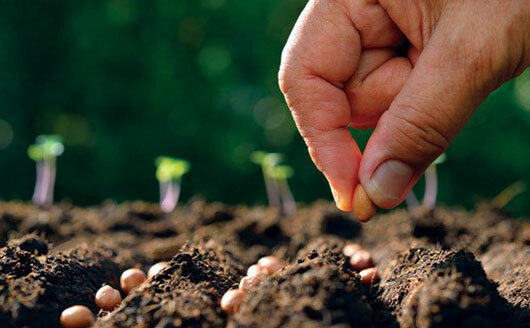 Because weather and soil conditions vary so much from year to year and even within your zone, it's best to think of your planting time as a range of favorable conditions instead of an exact time. You can plant new plants and trees: 1) when the ground is not frozen, 2) when daytime temperatures are above freezing (32? ?F) and below 90? ?F, and 3) when extreme weather (blizzard, hail, torrential rain, etc.) is not in the forecast. Be sure to keep plants watered if you're transplanting in warm and/or dry weather. I would think so. We planted one in Colorado at 6500 feet in September and it's doing great. Keep it watered until the ground freezes, and resume watering in spring if you don't get rains. Where in central Minn? I grew up in St. Paul, and have relatives in Todd Co.
What zone do you live in? If the tree is rated for your zone than September should be a good time to plant. Would this variety work as a pollinator for the dwarf red Jonathan we already have? BEST ANSWER: There is enough overlap in the bloom times for it to work. Can this tree be used to pollinate Liberty apples? BEST ANSWER: Chestnut Crabapple is an ideal pollinator for Liberty. Great tree & great price! I received this tree, healthy and sturdy and planted it and it put on blooms when it was planted just 3 weeks and I decided to take the blooms off this year, so the tree could get really established, before it had to feed the fruit. So far, I'm well pleased all around. The year-old Chestnut Crabapple was shipped well and easy to plant. Two years later, it is thriving and has not required intensive maintenance. I would recommend this product and this company to anyone interested in adding fruit trees to their landscaping. This is the second year this Chestnut Crabapple tree on the soil of my back yard. It has been growing o.k. healthy not super vigorously. I was pleased to see some small green fruits on the branches. I love it. I wish I have bigger backyard I would grow some more of these plants. Looked great last summer and into the fall but did not survive the winter in zone 5. Was planted in clay. Maybe the roots were too wet? Not sure what happened. I got my chestnut crabapple 2016 fall. it is growing very well. this spring it produced few flowers. it was a surprise for me because i didn't expect this small tree to bloom this fast. so far so good and i am very happy about it. So far we are quite satisfied with the trees purchased. Better quality than our local nursery. I planted this last year and it is doing very well. The year before I had planted a Honey Crisp and got this one for cross pollination. The poor little Honey Crisp has been getting eaten alive by grasshoppers, no matter how I spray, but I noticed that the crabapple was left pretty much alone. I'm glad this is a self-pollinator, I don't think the Honey Crisp is going to make it. Very pleased with this one. I love this tree and have purchased 2 "extra" trees. the apples are a little spicy and make great apple sauce or many other ways of fixing. I have planted over 40 apple trees on my 2 lots and these is my favorite trees. A survivor! Fast first year growth inspite of a record setting winter season, then 33" of snow mid April when we are usually planting. Had half dozen blooms after all that. We purchased these trees last summer. They are strong and healthy little trees, Thank you. In spring of 2016 the chestnut crabapple arrived from Stark Bros. as a bare root 1-year tree and soon leafed out beautifully; in its second spring it is now growing strongly. 2017-The Chestnut crabapple survived the winter, some nights it dropped to -20/25 degrees and we are at 8000 feet in the mountains west of Denver. The snow melt was early this year, mid May, that was when the tree started to bud and is very green with lots lots of new growth-mid July. I purchased two trees last year. They are doing amazing. Lots of new branches and growth. Just waiting to see if it'll be two or three years before the produce apples. This is pretty impressive as it gets very hot here and can go below freezing as well. Blooms a year after planting! We planted 5 apple trees last spring, all from Stark Bro's. This was the first to come out of dormacy. And reguardless of the up and down temps here in Missouri, it didn't seem to bother it one bit. Putting blooms on a year after planting. Great tree! Looking Good as Spring finally arrives. My crabapple tree is looking great as it starts its second spring. We had a long tough winter here in Northern Michigan. Received 27 inches of snow just in April and here it is Mother's Day and it is starting to completely leaf out. Deer occasionally visit my yard and have to spray on a regular schedule. I am looking forward to some crabapple jelly in a couple of years. My Chestnut Crabapple is the center piece of my little orchard. It grew fast and looked healthy from the start. This year it had many blooms not to mention it's tall stature for the short time in the garden. Tidewater Virginia is not exactly the place to raise apples, but apparently no one told the Chestnut Crabapple tree. Of all my trees it seemed to make itself at home as if it lived in an apple growing region. The tree arrived healthy and recovered quickly. It starts to bear fruit in the 2nd year and is doing well. Not sure about the flavor yet. Even Grows in SW Wyoming! Survived the winter, put on new growth, and even got a couple blossoms after just planting last year! Don’t know what the future holds, but impressed so far! Would recommend at this point! Planted it in my apple orchard for pollinator and it is looking okay so far. It is too early to rate the trees, because they have not borne fruit. They are emerging from their first winter, and appear to be growing well. Sadly, even with TLC, This tree did not survive the winter. It was dead down to the roots. I have not had an apple from it yet, but the advertising says they can be eaten in-hand, so looking forward to that day. We planted our crab in April of 2017 and it has taken off very well. New growth this spring is already a few inches and the tree looks very healthy. No blossoms this year so we expect to see flowers in 2019 and our first crop. It is growing well. It had some flowers this season. I do not know if they turn into fruits. Let us wait & see. Thank you for sending me a good plant. The apple tree arrive as indicated and there n great shape. It did well over winter and had the deer not pruned it for me, I am sure it would have produced fruit this year. I ordered three trees and one blackberry from Stark's last year. Within a week of planting, a 2-month record-breaking heatwave and drought arrived and crushed our mountain region of Northeast Arizona. Regardless of watering, protective cooling mulch and daily care, the Mimosa and Beach Plum and Blackberry plants died of heat shock. I thought the Chestnut Crabapple was a goner as well, but it managed to hold onto life. It amazed me! This spring after a severe pruning back of the old leader, it has sent up two new lateral, healthy baby branches. :) I'm hoping for the best. I mourn the loss of the other trees/brambles and the very hard-earned money that bought them. Not expecting a replacement. C'est la vie. I bought this tree last spring along with a Johna red. The crabapple has taken off like crazy with many suckers sprouting out of the ground and the limbs on the tree have gone crazy too. It looks a mess and I would like to know if any one else has this problem? The Jona red is doing great with no problems. Thank you for your feedback. Suckers and watersprouts are some common examples of fast new growth that take away energy from trees. In our article titled Fruit Tree Care: Removing Suckers and Watersprouts you'll find the information you need to clean up your tree. There is also a short video. If you'd like to speak to one of our amazing support agents please email us at info@starkbros.com or call us at 800.325.4180. Your planting success is important to us! I ordered a Whitney and it died, you replaced it. I then planted both trees, they started off well, about mid summer the leaves on both turned brown and fell off. They did not come back in the spring! So I gave up!